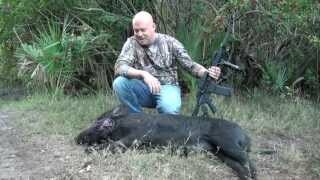 Tom Walker’s hog hunting portfolio in Florida is proof of the action-packed Florida hog hunting experience that until now could only be found on TV. After receiving many phone calls and emails from fans and previous clients, of January 1st 2016 Tom has returned from over a year of retirement, Tom was honored to be sought out as one of the country’s top hog hunting guides when he was asked to become one of the main cast members on A&E’s hit reality show “American Hoggers”. This is your opportunity to hunt with him as your personal guide and experience the adventure of hog hunting in Florida with the one of the best hog hunters in the business! Due to Tom’s strict schedule and commitment to give everyone the best real hog hunting experience, he will not be able to take everyone so please make sure you have the exact dates, numbers of hunters and type of hog hunt that you would like to hunt before filling out the contact form. Tom still offers all the boar hunting styles including Dog & Spear/Knife Hunts, Archery hunts from tree stands over bait, Firearm Hunting from blinds or treestand over bait and late afternoon Spot and Stalk Hunts. American Hoggers’ Legendary Tom Walker is out of retirement and back into the woods. Due to his strict production and guiding schedule he is extremely busy! Please fill out the form below completely. Although he will not be able to return e-mails from this form, he will personally call you within 24 hours! Hunting with Tom Walker isn’t really for everyone. Tom’s skills in the Florida bush for hunting wild hog and alligator have made him a household name among hunting enthusiasts throughout the country. A&E heard about Tom when doing research for their show “American Hoggers” and they quickly realized why he had the reputation he had. He was the real deal, a lifelong hunter that moved from the Midwest to southern Florida and had quickly learned how to dominate Florida hog and alligator hunting. Besides being well known among the biggest hog hunters in Florida and beyond, Tom was one of the main cast members in A&E’s American Hoggers and he has been featured many times on the Outdoor Channel. He has helped produce an outdoor reality show for the European Discovery Channel. Nowadays he is focused on getting back into the woods and sharing the wisdom he has learned over the years. 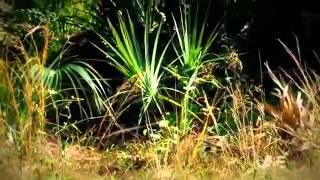 Yes, as of January 1 of 2016 Tom has decided he wanted to take a limited amount of hunters into the woods to experience what he has been experiencing all along – the wild rush of Florida hog hunting.